We recently had the opportunity to experience an ocean jetski tour with T-boat hire in Noosa on Australia’s Sunshine Coast in Queensland. We had some limited jetski experience but only on relatively calm waters, so the prospect of an ocean tour was both exciting and a little daunting. Jason, our guide, gave us a clear briefing on how to stay safe while out on the tour and explained the procedure of how he would keep in contact with the coast guard. After that, we were away! The tour started with a pleasant cruise up to the end of the Noosa River on calm water, with the chance to pick up some speed as the river opens towards the sea and you approach ‘the bar’, which is where the ocean waves start to break as they approach the coast. The only way to get out of the river into the sea is to ride straight into the waves. This is where things really started to get different from anything we had done before, testing our nerves and skills as we tried to keep the jetski heading straight into every crashing wave that rolled towards us. The video above was filmed from my headcam so the waves don’t look anything like as big as they were, but they were seriously intimidating. Probably the only way to know what it feels like is to go on the tour yourself and see them barrelling towards you for real. It was certainly challenging, but following Jasons advice we came out the other side into the smoother ocean and breathed a sigh a relief and satisfaction, before having to step on it to keep up as our tour moved on for a high speed blast around the coastal headlands of Noosa. When eventually reached some calmer waters in a bay along the coast where Jason showed us some of his skills with jumps and twists while we took a breather. Then it was back on the throttle to jet back round the coast and through the bar the other way into the river. There were four of us on the tour sharing 2 jetskis and all of us returned wobbly legged with massive grins on our faces. 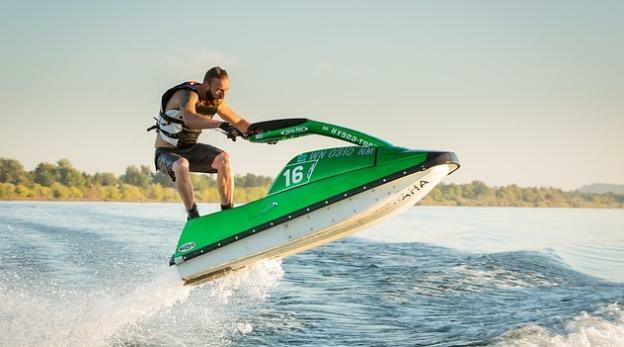 It’s certainly not for the faint hearted, but if you love the sea and you crave thrills and excitement then you will absolutely love this ocean jetski tour. It’s a truly awesome and unforgettable experience. 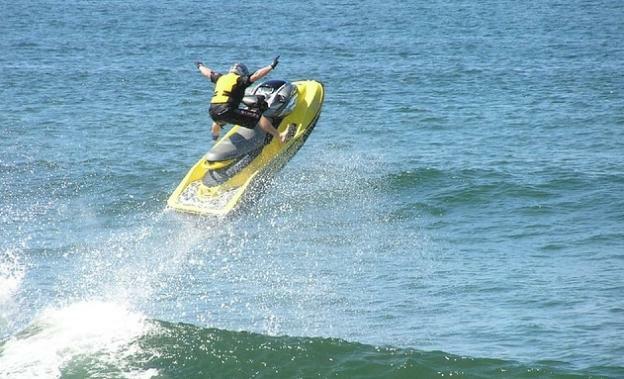 Full details of the ocean tour and other Noosa Jetski experiences can be found on the T-boat Noosa Jetski website.